Statistics indicate that aircraft accidents have decreased. 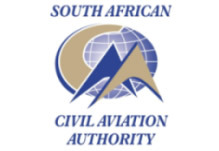 Data released by the South African Civil Aviation Authority (SACAA) today during the National Safety Seminar indicate that between 01 April 2014 and 31 March 2015 (the SACAA’s financial year), aircraft accidents declined from 144 the year prior to 120 resulting in 17% decrease. The number of fatal accidents came down from 27 to 16 resulting in a 41% reduction; whilst the number of fatalities from accidents declined from 41 to 26 translating into a 37% reduction. “Scheduled commercial passenger operations retained a 0% fatal accident rate record. As much as the statistics are encouraging, the SACAA still maintains that one fatality is one just too many. We certainly believe that there is still room for improvement particularly in relation to recreational and general aviation activities. We urge the general aviation and recreational sector to emulate the safety culture that has year-after-year ensured that commercial operations maintain an admirable safety record,” said Ms Poppy Khoza, who heads the SACAA as Director of Civil Aviation.